Summer is winding down and fall is fast approaching. Some areas of the country will face more severe winter weather than others, but most all of us will experience cooling temperatures. In order to get ready for these cooler days, now is a good time to conduct some basic maintenance around the house. 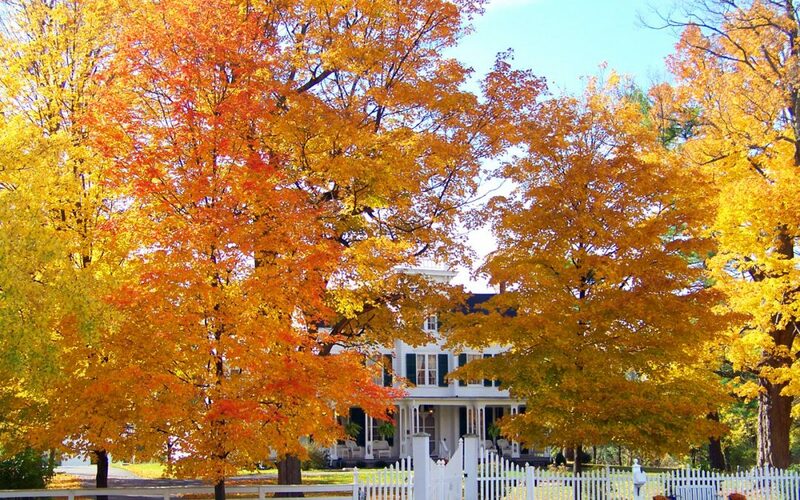 Use these four methods for preparing your home for fall. Preparing your home for fall involves performing preventative maintenance, which is always a good idea any time of the year and especially so when it is time to prepare for cold weather. Putting in a little money and elbow grease now will save on expensive repairs and increased labor later. Clean the fireplace from any dust and charred ash that may still be hanging around. For the chimney, it is a good idea to have a professional chimney sweep perform the cleaning. This will remove dangerous creosote from the chimney walls, which can be a fire hazard. This should be performed annually in late summer or early fall before the trees begin losing their leaves. This also should be performed annually and can be done at the same time that you are cleaning the gutters. Make sure to check for loose or damaged shingles, and if you see many of either, hire a professional to examine and repair your roof before more severe weather arrives. Rid the roof of any leaves, branches, sticks, or debris that has collected. The heating system should be checked inside and outside. Check the filters inside, replacing and cleaning as needed. If it is a heat pump, clear any debris that may have collected inside the cover of the fan. If your heating system is old, now may be a good time to have it serviced or replaced with an energy-efficient system. Check for drafts around the windows and doors. Adding some type of insulation like weather-stripping to these areas is a great way to save on energy costs while you are preparing your home for fall weather. Reverse the direction of your ceiling fans to a clockwise direction in order to pull the cool air up toward the ceiling. If your fan does not have a remote or wall control that changes direction, look for a toggle switch directly on the fan. If you live in a climate that has cold weather, preparing your home for fall should also take into account harsher weather in the following months. Have shovels and vehicle window de-icers on hand, purchase extra gasoline, and test your generator if you have one. Drain any outside hoses, pipes, and sprinkler systems. Wrap your outdoor plumbing pipes in pipe insulation. The fall is a good time to check safety devices in the home. Check and replace the batteries in your smoke alarms and carbon monoxide detectors. Create or review your fire safety plan and make sure that everyone can find and use the designated exits easily. Make sure an emergency kit is ready for possible power outages. If you prepare your home for fall now while it is still warm and light outside, you will be happy you’re prepared before cold weather unexpectedly hits for the first time. Scout Home Inspections provides home inspection services to New Hampshire and Maine. Contact us to book an appointment.